This is the story of how CampLite and Ford truck campers blazed a trail of innovation through the truck camper marketplace, and then went out in a fog of mismanagement, non-communication and confusion. What a waste. In July of 2010, Scott Tuttle, the Founder and President of LivinLite, debuted a line of all-aluminum and composite hard side truck campers in Truck Camper Magazine. Scott’s 100-percent wood-free construction concept was both simple and radical. 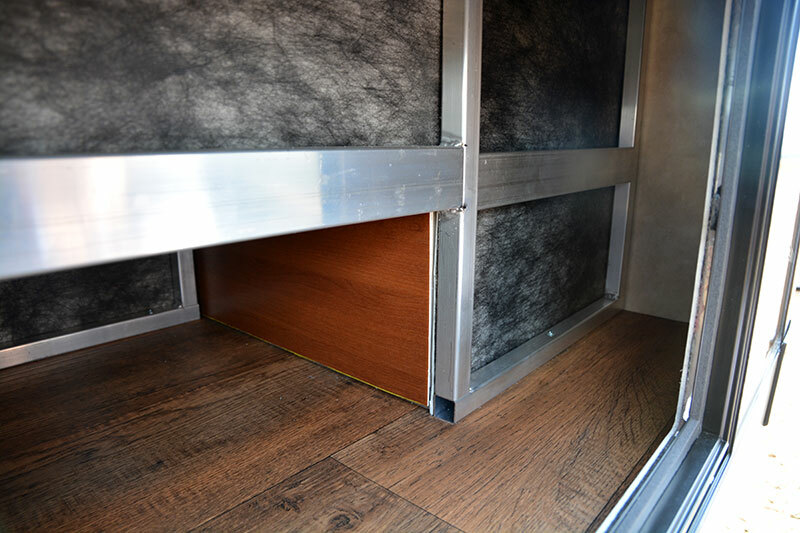 Even today, very few RV manufacturers attempt to manufacture 100-percent wood-free products. CampLite was LivinLite’s truck camper brand. 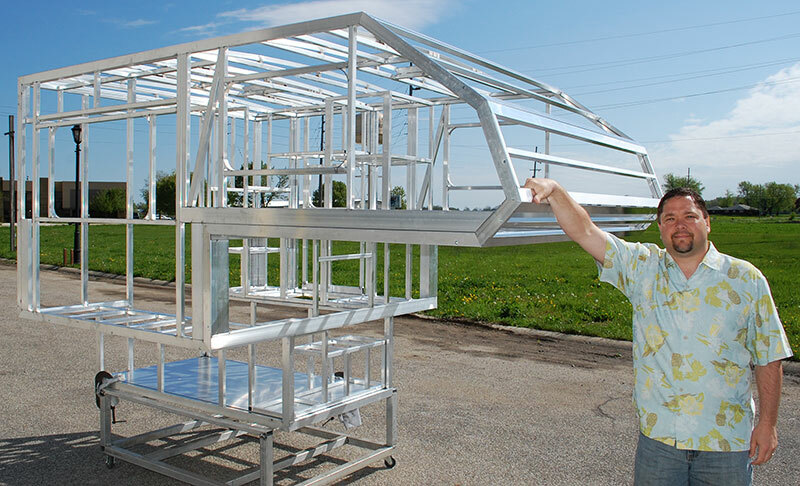 The first CampLite truck camper to roll off the LivinLite production line was the CampLite 5.7 (see above), an extremely basic, short bed, all-aluminum and composite, hard-side truck camper. Just as Scott had envisioned, the 5.7 was completely wood-free. The interiors of the first CampLite truck campers were extremely sterile. Early CampLite models drew comparisons to ambulances and other industrial vehicles; a far-cry from the refined interiors of the competition. With feedback from dealers and consumers, Scott and his team made their wood-free interiors warmer and more comfortable with each iteration. In 2010, 2011, and 2012, new and improved CampLite interiors debuted two and even three times a year. Each time they added more warmth and comfort. No longer easily mistaken for medical transports, LivinLite and CampLite products performed and sold well. Dealers loved telling the “wood-free” sales story, and customers loved hearing it. 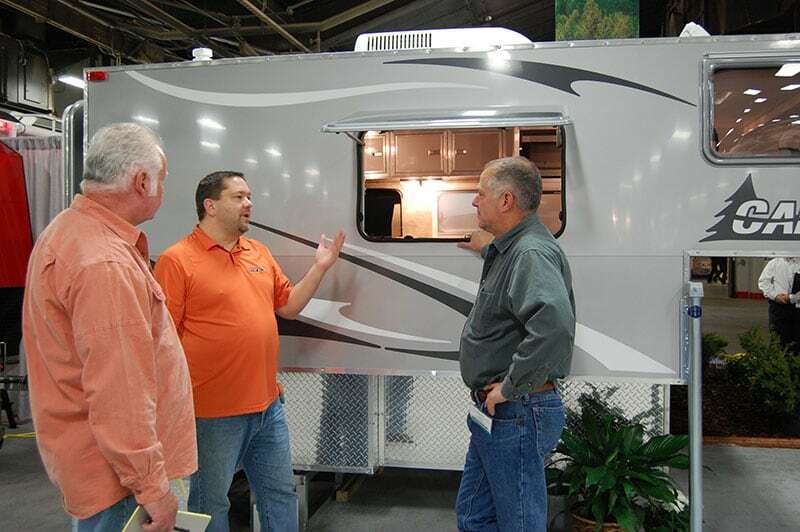 By 2013, LivinLite RV was ranked #963 on the Inc. 5000 list with a 2012 revenue of $16.4 million. Thor Industries announced their acquisition of LivinLite August of 2013. 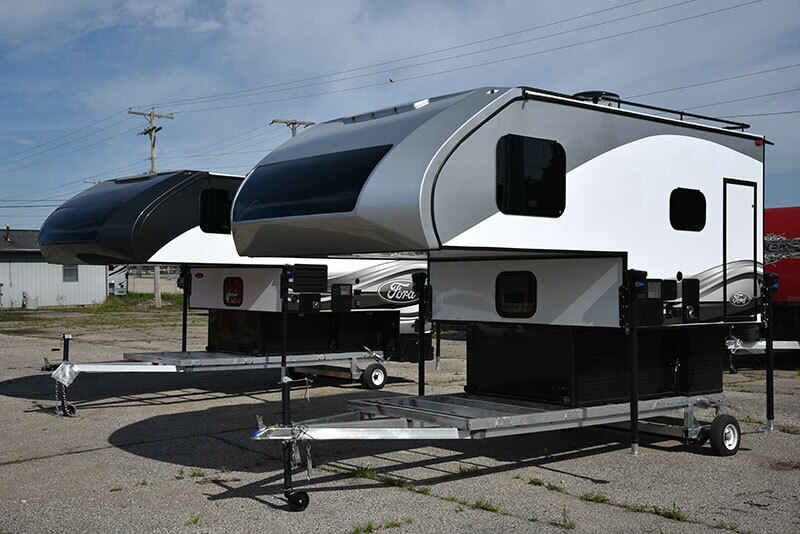 As one of two powerhouse mega-corporations in the RV space, Thor Industries is well known for buying smaller RV manufacturers. Initially, the Thor acquisition seemed to make no difference to the company. Scott remained at his post, the company remained in Wakarusa, Indiana, and dealers reported inventory arrivals and sales. Then Ford happened. The excitement surrounding LivinLite RV hit its absolute peak on November 25th, 2014. On that day, Scott Tuttle publicly announced a new partnership with Ford Motor Company to build Ford branded, all-aluminum truck campers. The Ford partnership news sent shock waves throughout the entire RV industry. In an exclusive interview with Truck Camper Magazine, Scott discussed the 18-month process of working with Ford Motor Company including Gordon Platto, Chief Designer of the 2015 Ford F-150. Scott also revealed the very first Ford truck camper design sketch (see graphic above) including a Ford-designed fiberglass front nose cap and windshield.